Häfele to Order is a value-added service we offer for certain products that can be sized, finished, assembled and packaged to your specifications. Häfele to Order components are sized, finished, assembled and packaged to your specifications. Customizable door and drawer fronts arrive ready to mount. Moovit drawers are pre-assembled to your exact sizes. Aluflex sliding doors, with your specified infill panels arrive ready to install. And wardrobe tubes are cut to specified lengths. Ordering H-to-O products is fast and easy. When you click on the appropriate link from the choices below, you will access either a PDF form or our online configuration tool where you can input your dimensions and other specifications. Once we receive the required information you will receive a detailed quote for your approval. Recycled leather veneer comes in a variety of stylishly unique colors and textures and the product is durable and easy to maintain. So whether you need drawer fronts or shelves - or both - EcoDomo components are the perfect addition to your forever closet. Salice offers a variety of premium door hardware solutions for your next projects. Be sure to fill out and email us the appropriate, completed form below to complete your order. o For doors up to 154 lbs. Protective liners made to the exact size and shape of your surface with a quick turn-around time. Use them in your kitchen, closet, pantry, office, or anywhere else that you need to protect a surface. 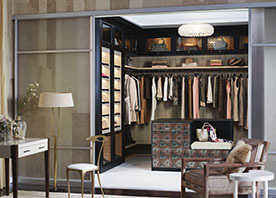 Aluflex sliding doors are ideal for closet, living room or office applications. With a wide variety of glass, Ecoresin and mirror infill panels - along with structural and decorative mullions, the doors can be customized to fit most any specification. Our custom design tool will guide you through the process to build an online quote. Click below to use the Aluflex design tool. 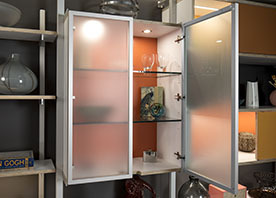 Häfele offers two categories customizable Aluminum Frame Doors. Both offer superior Häfele quality with each providing unique advantages. Häfele Classic doors offer all the options most jobs require, yet at a more affordable price. Frame components can be bought uncut, cut to order, or fully assembled. Häfele Premium doors offer a broader range of choices of frame profiles, hardware, infill panels and finishes. 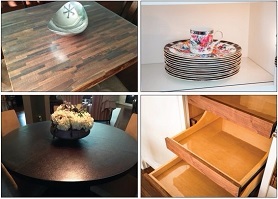 Solid Maple, Oak or Cherry door and drawer fronts customized to your specifications. 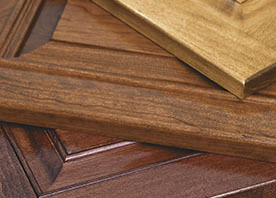 Choose from eight best-selling door styles and nine finishes. 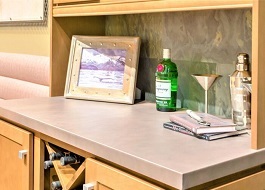 We offer two unique edge profiles and a more than 25 finish options. See form for more details. 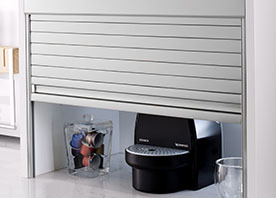 Custom aluminum tambour unit made to fit into your exact cabinet size. Shutters are available in either Anodized Aluminum or Stainless Steel finish. To order simply provide your cabinet dimensions and which Version, Profile, and Finish you would like to receive. Timeline is approximately 6-8 weeks from order to delivery. 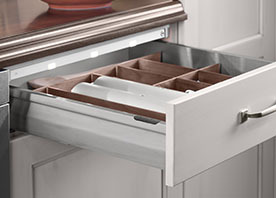 Sleek and contemporary design and 110 pound weight capacity make the MOOVIT - drawer box system perfect for residential, commercial and medical cabinets; as well as hotel and condominium projects. Our Moovit drawer design tool will walk you through the steps to develop a custom quote. A very unique and high quality option for drawers. 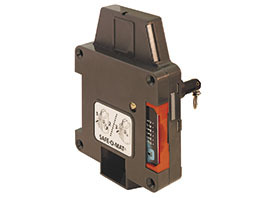 Häfele offers Replacement Keys, Master Keys and Cash Box Keys for Safe-O-Mat Locker Locks. Please note that your Master Key Series Number will be required on all orders. 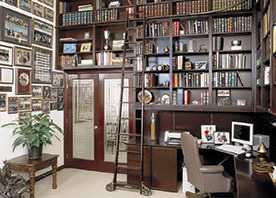 We offer custom ladders for both libraries and home. Strong and stylish, these ladders are functional and a great addition to kitchens, wine rooms and closets. We can build a custom ladder for your project. Just fill out the form below. Contact our experienced staff of Project Specialists if you have questions. We can be reached at 888.437.7477.